They say never meet your heroes. So why is it that every time I meet people from the world of Twin Peaks, they turn out to be lovely, genuine people. It’s been the case every time I’ve attended the UK event. For me, it started with Sheryl Lee and Dana Ashbriook in 2014, continued with Chris Mulkey and Ian Buchanan last year, and this year has been no different. If I’d known about this thing back in 2009 when it started, I’d have been there the whole time. Lindsey Bowden and the team behind the Twin Peaks UK Festival do a bigger and better job every year. They manage to set up the most wonderful environment for people to celebrate their shared love for this most fantastic of stories. As you’ll see from these pictures, they really pulled out all the stops for this year’s event. One of the best things this year was the addition of a full programme of live music throughout the two days. 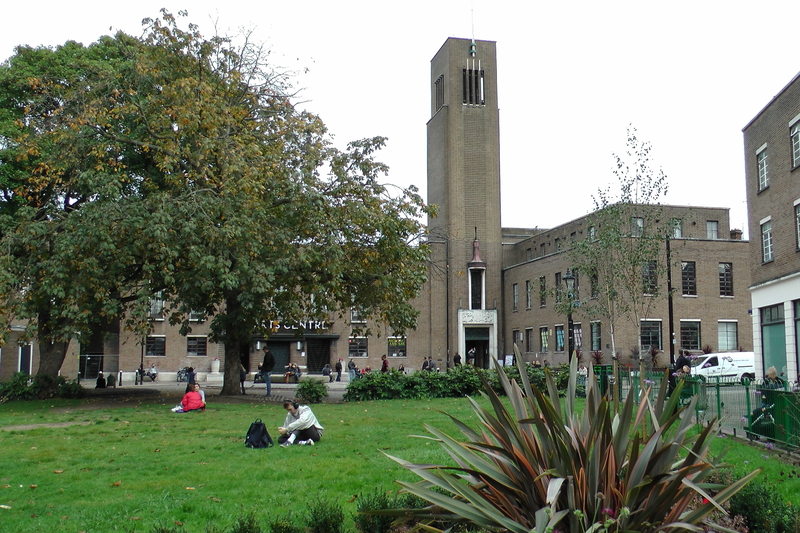 The Festival’s home, for the past two years, has been the 1930’s majesty of Hornsey Town Hall Arts Centre. 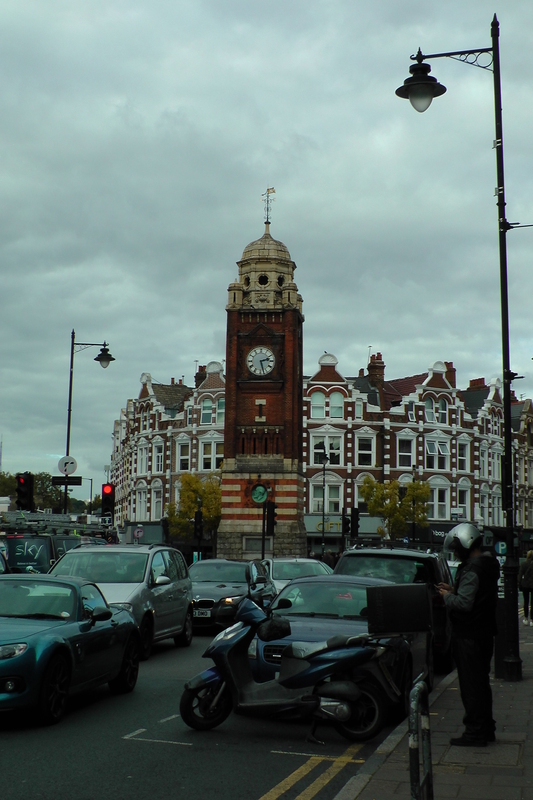 It’s located in the bustling heart of Crouch End. I got up there at about half past nine, in plenty of time to give out copies of my story to the people in the queue. There are some lovely artistic touches around the place which give it that Great Northern vibe. There is a whole corridor given over to Lynch-inspired artwork. Here are some of my favourites. The glass box. I think I tripped on the entrance ‘every’ time I went in and out. There was more live music on the Saturday evening from Jams Marshall himself. He was joined on stage by Michael Horse and Amy Shiels. One of my favourite parts of the Festival was the live Owl display in the main hall. There was a very entertaining talk and some thrilling flights over our heads. There was a screening of lynch-inspired short films, my favourite two of which are pictured below. Costumes play a huge part in the festival, and loads of people make a great effort. Here are a couple of my favourites. I ended up being upgraded into a private room as there was some dude asleep in the dormitory bed that I was supposed to be in. Nice! Sunday started and I was excited for the chance to get a couple of autographs. I had my tokens all sorted and made a last minute decision to add Jake Wardle to my list. Seriously, I can’t say enough just how lovely these people are; how genuine and warm. It happens every time I come to one of these events and it’s why I keep coming back. Plus, they all took a copy of my story and seemed pleased that their characters were included. I also saw Sherilyn Fenn (Keri from The Wraith) outside on a wall trying to sort out her phone. Wicked! Executive Producer, Sabrina Surherland had her own Q and A on the Saturday and then joined in the main one with all the actors and the makeup artist, Debbie Zoller on Sunday night. And a screening of The Elephant Man. Some of the VIPs got to go on a bus tour of the filming locations. The great Ken Boon makes an appearance! All in all, it was a fantastic weekend. The team who put it on do a really fantastic job and, although it’s getting bigger and bigger, it retains the feel of a family event. I hope I get to go next year. She liked my story!! So cool. If you haven’t read it yet, I’d love it if you gave it a try. Here are the links. Here are the links to my thoughts on The Return as well. Great pics and reviews – and thanks for giving a copy of you story, it was great to have something good to read in the queue outside ! Thanks for the awesome coverage of the festival! I mad the second film you pictured titled “TSIRK”. I wasn’t able to make it to London and was really hoping there would be a post like yours to see all that was going on. It looks like it was an incredible time! Your film was fantastic with a great soundtrack and a good mix of discomfort and joy. I’ll stick a credit on the picture for you now that you’ve reminded me.